“If you've ever seen an animal trapped in one of these traps, you would never, ever allow them to be used," said Skip Haynes of the wildlife protection group Citizens for Los Angeles Wildlife. 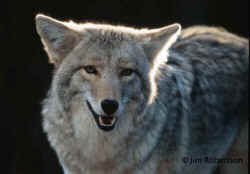 The new rules “will remove any efficient methods of trapping predator animals, and increase costs for residents without addressing the true issue” -- people ignoring the existing rules, Fox wrote. Original article by Emily Alpert Reyes, Los Angeles Times.